Almost 200 million people in the US shop online every year, and the numbers are projected to continue rising throughout 2014 and beyond. It’s clear that online shopping is no longer a novelty. Clothing, shoes, accessories, even beauty products and perfumes, are now sold and purchased online. The most recent leap in online shopping? Groceries. Grocery shopping is just as much of a hassle as shoe or perfume shopping, yet so many of us still shy away from purchasing groceries online. We’re here to tell you, there’s no need to be wary. One of the biggest concerns of potential online grocery shoppers is freshness. If grocers don’t deliver quality products to online shoppers, they won’t have an online grocery delivery service for very long. The first people to try out online grocery shopping tend to be active users of online forums, unafraid of posting online reviews of products and services. It’s just good practice to ensure online shoppers receive the best and freshest products, if they want to avoid negative reviews and disgruntled customers. Plus, if you are busy enough to consider grocery shopping online at all, you’re probably busy and distracted enough to pick an overripe fruit or a carton with broken eggs. Online grocery services have staff paid to make sure you do not get a bruised banana, or stale bread. They have more time than you do, and they are paid to help you. Let them. Most of us go grocery shopping when we can squeeze it into our busy schedules. Online grocery shopping allows us to shop whenever we can, whenever we want. Websites are available 24 hours a day, every day. You can start shopping, go look in your fridge to double check your current food stock, and then go back to shopping. 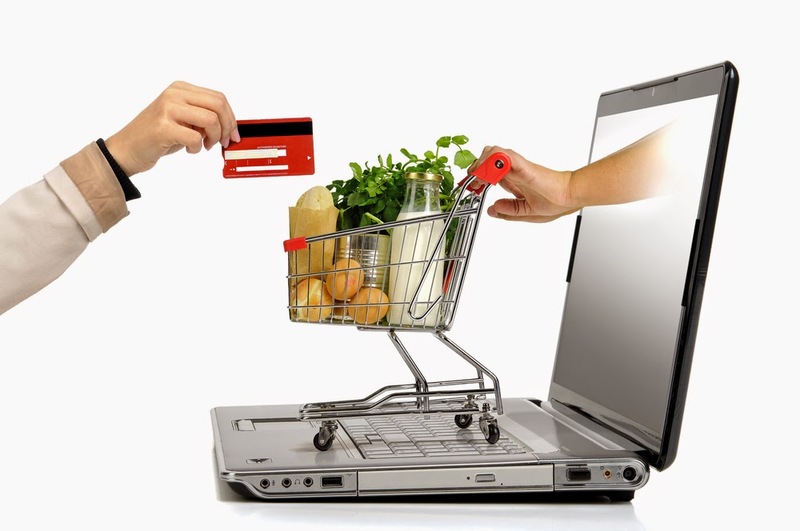 You can check other online grocers to ensure that you are paying the best price. You can watch your toddler nap, or your kids on a play date, and still get your grocery shopping done. All from your own chair, in your own home. Forget waiting. No one has time for long lines, rude cashiers, or pushy shoppers. If you must go grocery shopping at peak times, after work for example, you’re going to end up fighting for a parking spot, shouting at the deli counter, and speed walking past leisurely shoppers. Online grocery shopping means, no lines, no hassle. You always end up spending more than you meant to at the grocery store, either because you’re shopping hungry, or because your kids are grabbing every variety of Scooby Doo snacks and Cheezits and throwing them into your cart when you aren’t paying attention. Shopping in an actual store, it’s easy to wander into the junk food aisles, but online, you have to go out of your way to peruse the processed stuff. Bonus: online, you can watch your total cost increase real time, instead of playing the guessing game until you get to checkout. Eat cleaner, waste less. Shopping online means you already have a list of what you need. Online, you won’t be tempted by the smoked Gouda on display, the Gouda that will inevitably end up moldy in drawer of your fridge. Shopping with recipe ingredient lists—ones that Chicory provides for you—is particularly useful for smarter shopping. Buying with purpose cuts down on junk food and snacking purchases, ultimately cutting down on your snacking and contributing to a healthier lifestyle. Try it out. You have nothing to lose, except for a few unnecessary impulse buys and a two-hour block of stressful shopping.